It's like a facelift in an hour! 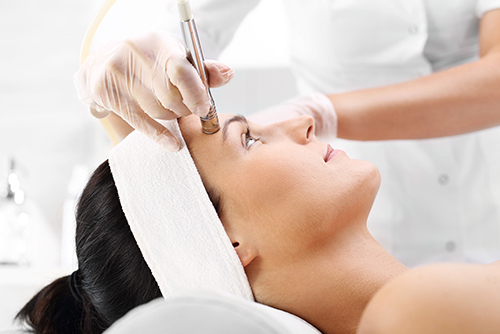 Microdermabrasion stimulates blood flow, improving cell production, and in turn skin’s elasticity and texture. Keep your skin glowing, radiant, and healthy – turn back the clock! Many people choose microdermabrasion over chemical peels and laser treatment because it is generally safer and more cost-effective. Depending on how many treatments you have, you’ll notice a change in the clarity, elasticity and texture of your skin. 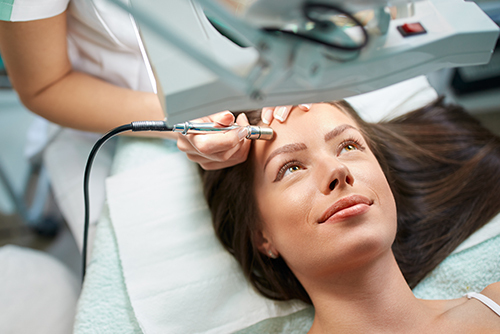 People with uneven pigmentation, fine lines and clogged pores can benefit from a series of microdermabrasion treatments – we recommend every four weeks! However, it’s not recommended if you have skin conditions such as rosacea, eczema, dermatitis, active sunburn, herpes, lupus, open sores, psoriasis, fragile capillaries or widespread acne. This can irritate the skin and cause further breakouts. A mini-facelift with no down time and low maintenance. Amazing!